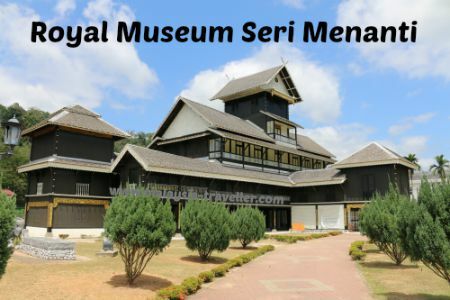 The Royal Museum Seri Menanti is housed in the unique Old Palace building (Istana Seri Menanti) in the small town of Seri Menanti in the Kuala Pilah district of Negeri Sembilan. 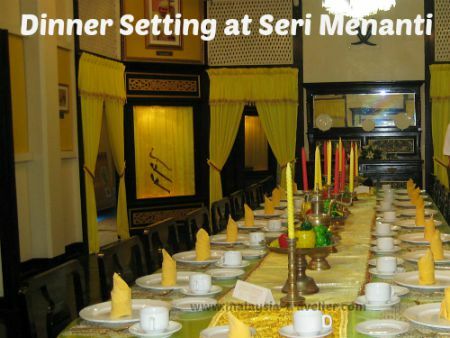 Seri Menanti is the royal capital of Negri Sembilan state. Negri Sembilan translates as ‘nine states’ referring to the nine territories which made up the confederation from 1773 onwards. 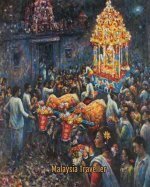 The rulers of this state are of Minangkabau origin having migrated from western Sumatra about six centuries ago bringing their distinctive customs and architectural style with them. This building was constructed between 1902 and 1908 as a royal palace to replace an earlier one which was destroyed by the British in 1875. It was built by two highly skilled local craftsmen, aided by technical drawings provided by the British head of the Public Works Department. This four storey wooden structure was made without the use of nails from chengal, a durable and termite-resistant tropical hardwood, and with ironwood roof tiles. 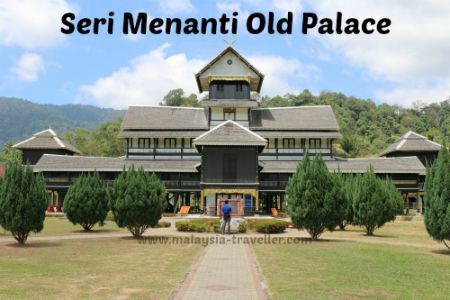 Although the palace incorporates a sloping roofline, which is characteristic of Minangkabau architecture, the design is actually unique to Negeri Sembilan, perhaps with an element of colonial influence thrown in. It served as a palace and official residence of the Negri Sembilan ruling family until a newer brick palace was built nearby in 1932. The whole structure is elevated on stilts and the lowest floor was used as a hall for official audiences, while the second floor housed chambers for the royal family. Above that was the Yang Dipertuan Besar’s private apartment. The palace was converted into a museum of royal regalia in 1992 and contains displays of costumes, weapons, furniture and other paraphernalia. Batu Kasur. This stone slab is a replica of an original in Minangkabau, West Sumatra. It was used to test a royal prince. Before becoming ruler he had to sleep on this stone for a few days while covered with jelatong leaves which irritate the skin. Only Raja Melawar is believed to have passed this test. 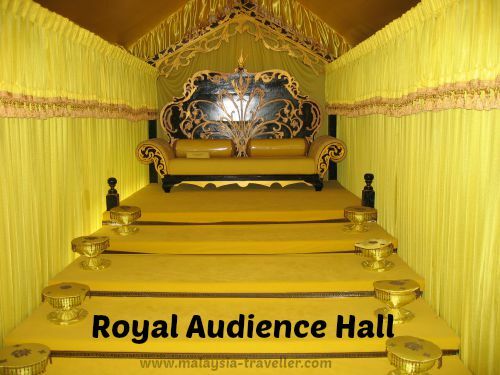 (By the way, Raja Melawar’s palace is another interesting place to visit in Negeri Sembilan. You can read about it here on my blog). 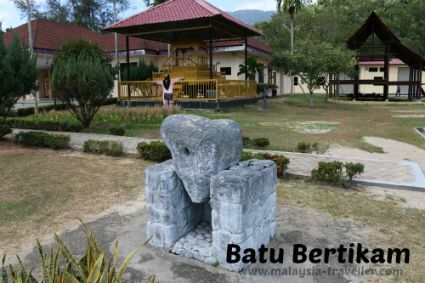 Batu Bertikam. This is another replica of an original stone in West Sumatra. This one relates to customs of the Chaniago tribe. There is also a scarecrow and a wooden throne in the palace grounds. While the contents of the museum are nothing exceptional, the building itself is unique and very photogenic. 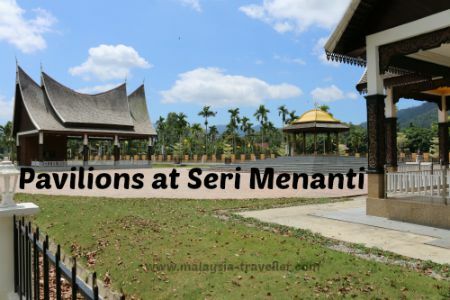 The drive to Seri Menanti is pleasant and the surroundings are attractive. I recommend a visit. Unfortunately the museum has been closed for several months for repair work and maintenance (as at September 2015). There is no indication of when it will reopen. It took six years to build the palace; hopefully it will not take as long to repair! Although its is closed you can still walk around the garden and exterior. When it was last open there was no entrance fee. 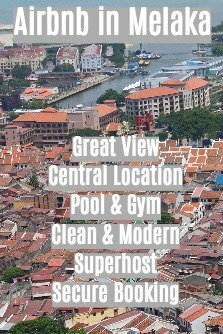 The location is marked on the map on my Top Negeri Sembilan Attractions page. If driving, take highway 51 from Seremban in the direction of Kuala Pilah. 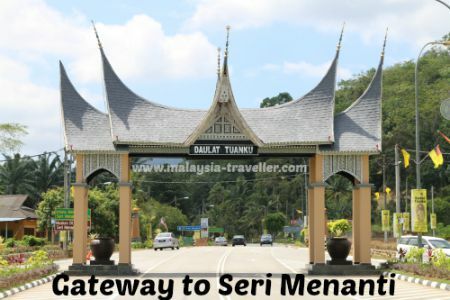 At Kampung Ayer Hitam you will see this elaborate archway showing you the way to Seri Menanti. 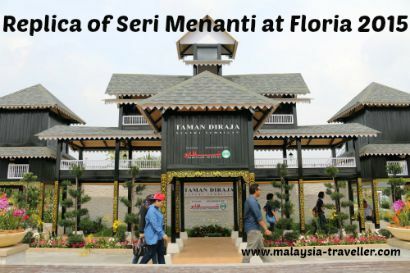 In front of the palace are some newly constructed pavilions in typical Minangkabau/Negeri Sembilan architectural style. There is also a small park with a lake in front of the new Istana. The town of Kuala Pilah is not far away and has some interesting attractions which you can read about here. 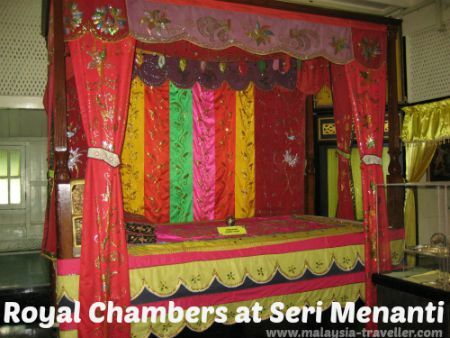 The city of Seremban is also well worth visiting and you can see some of the highlights here.